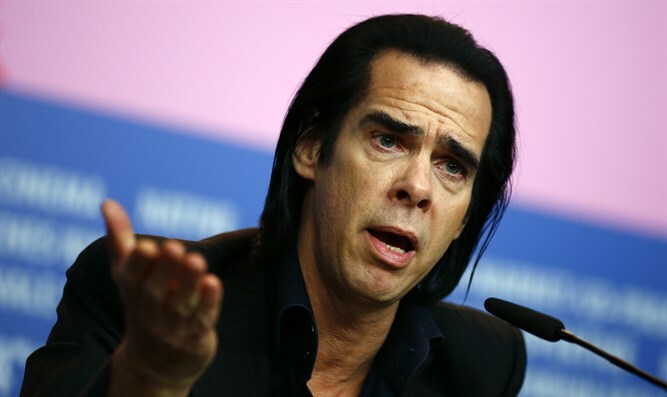 Australian rock star Nick Cave says BDS was the impetus for coming to play in Israel. Australian rock star Nick Cave, who performed in Tel Aviv on Sunday and has a second concert scheduled for Monday, said on Sunday that the anti-Israel Boycott, Divestment and Sanctions (BDS) movement was the impetus for coming to play in Israel. The musician spoke at a press party celebrating his concerts in Tel Aviv and was quoted by Haaretz. Cave explained that, a few years ago, he understood that he wouldn't sign an "Artists for Palestine" petition, calling for artists to refrain from coming to Israel. "I didn't want to sign the petition. I didn't connect to it. I don't like lists," he said, adding he realized that though he wouldn't sign the petition, he also hadn't performed in Israel for 20 years. Cave first visited Israel to play a concert in 1993, and has returned twice since. "That made me feel like a coward, so as soon as I planned this tour, it was important for me to come out against this silencing of artists," he was quoted as having said. "I like Israel and Israelis, and it's important for me to do something of substance about this," stressed Cave. In recent years there have been calls on foreign artists to boycott Israel. Many of these calls have been spearheaded by pro-Palestinian groups and by former Pink Floyd musician Roger Waters, who is known for his anti-Israel views and for his encouragement of boycotts against Israel. Waters has verbally attacked many artists who chose to perform in Israel over the last several years. His list of targets includes Jon Bon Jovi, Alan Parsons, the Rolling Stones, Neil Young, Radiohead and actress Scarlett Johansson. Radiohead played in Tel Aviv this past July, defying boycott calls. Popular rhythm and blues artist Alicia Keys and pop duo Pet Shop Boys are among the artists who have also performed in Israel in recent years, amid calls to cancel their show.